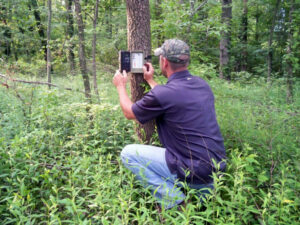 The hunting season is over and you are thinking of collecting back your trail cameras. Well, this is actually not your only option. You can choose to keep your camera up even during off-season. When you continue to run your trail cameras all year round, you will be able to capture great photos of those animals who have survived the year. You can even set up some bait like a pile of corn to draw them near to film if that is legal in your area. Another use of your camera during off-seasons is shed hunting. There is a possibility that a one-antlered buck has dropped his antler somewhere near your camera and it could possibly happen again. However, there are some considerations to take when you opt to leave your camera running all throughout the year. First and foremost is the cold. If you live in an area where there is winter season, you have to use batteries that will be able to handle the cold. Aside from this, you should also check out your camera and change the batteries before snow starts to fall. With this, you will not leave any tracks that will lead other people to it. This is especially if you hunt on a state land. It is also important to note that camera thefts increase during off-season. It may be best to take extra precaution just to avoid you trail camera from being stolen.